Posted August 25th, 2016 by Jessica Garcia & filed under Uncategorized. You may have heard of this alcoholic beverage and just thought it was a type of tequila; While it may be made by a similar plant it’s very different from it’s popular cousin. This is the drink that you see with the small worm at the bottom that your friends dare you to eat. Let us teach you a thing or two about this perfect Mexican drink. Mezcal means “oven-cooked agave” and is made from the heart of the agave plant called the “piña”. Once the heart of the plant is removed it’s cooked over heated rocks underground for 3 days. The smoke from the cooking process gives the alcohol its smokey flavor. 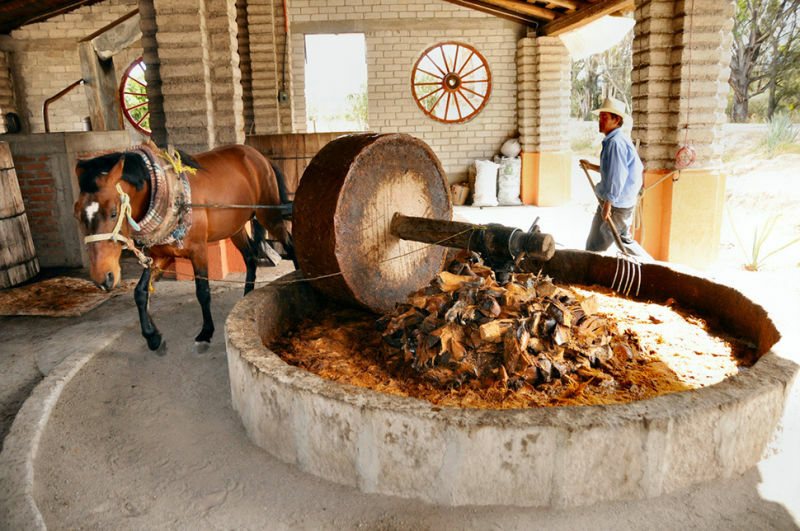 After they have cooked the “piñas” they are crushed and mashed by a stone wheel, traditionally pushed by horses. The remaining product is then left in large barrels with added water to ferment. 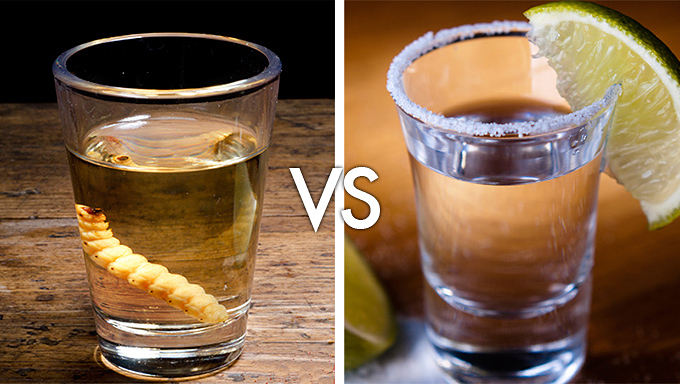 There’s a saying about Mezcal “A todo mal, Mezcal. Para todo bien, también” for everything bad drink Mezcal, for everything good drink Mezcal as well. There’s a good reason that this a favorite drink, the myth is that you won’t get a hangover from drinking Mezcal. 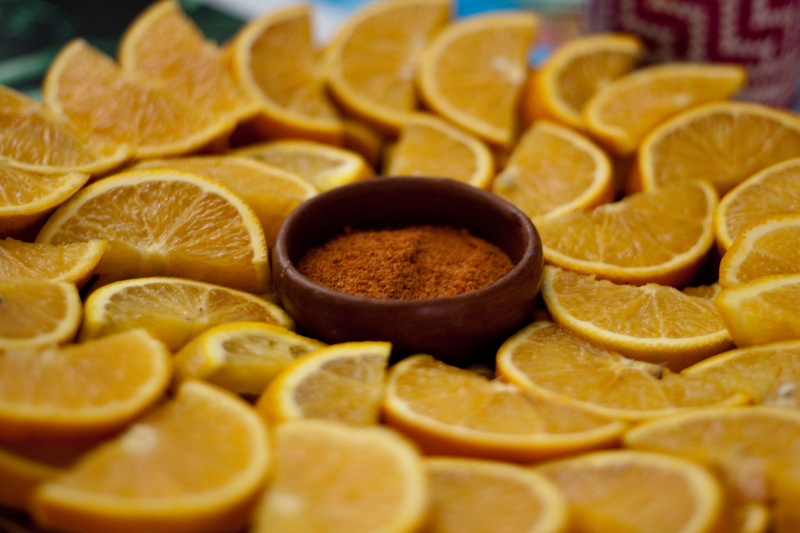 While most people enjoy sipping on this drink accompanied with an orange slice covered in chile, it can be added to drinks as well to make some excellent cocktails. 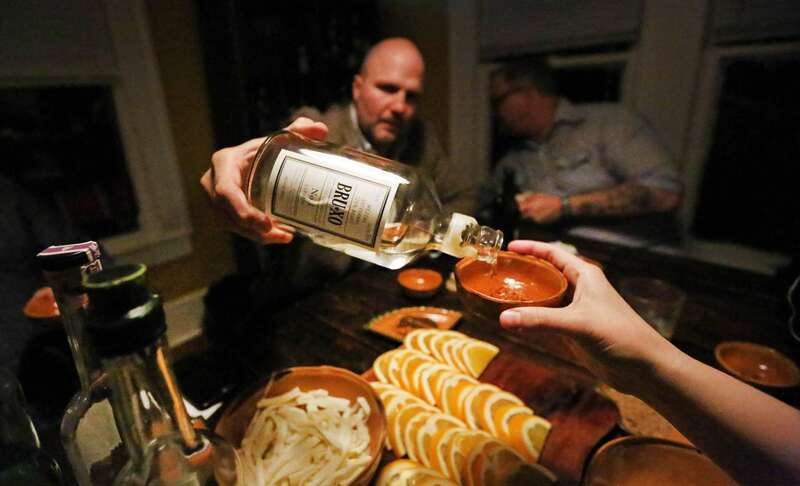 Mezcal is a smooth alcohol that should be sipped on and is often recommended as a great after dinner drink. Why the worm you may be asking? To add flavor. There are different types of “worms” that can be added. The “red worm” is said to have better flavor but the “maguey worm“, commonly known as chinicuil, is added to bottles as well. 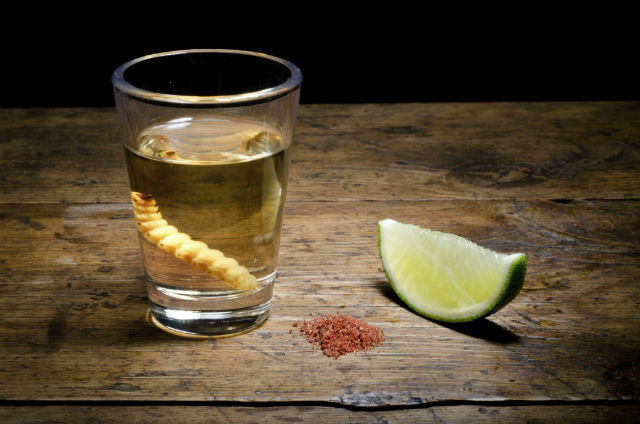 Don’t forget the next time you are in Cancun or the Riviera Maya to look for Mezcal and if you’re brave enough, eat the worm. Ready to start planning your vacation? Do it now!